On the quest to make the perfect Fruit Tea for Hal, I finally created one where he said “this is it”… so i thought I would share! The spiced Chai tea bags, cinnamon and cloves gives it a wonderful flavor! 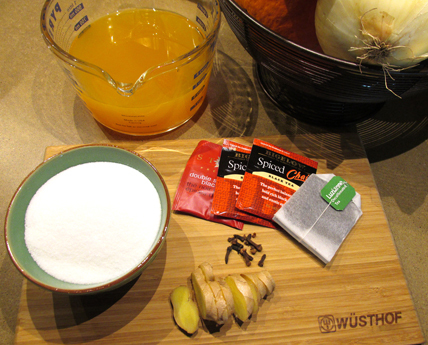 In a large stock pot add water, cloves, cinnamon stick and ginger. Add a cup of the boiling water and pour over the sugar to make simple syrup. Let steep for at least 15 minutes. Add the simple syrup and juice. Strain contents through a sieve and into a container.